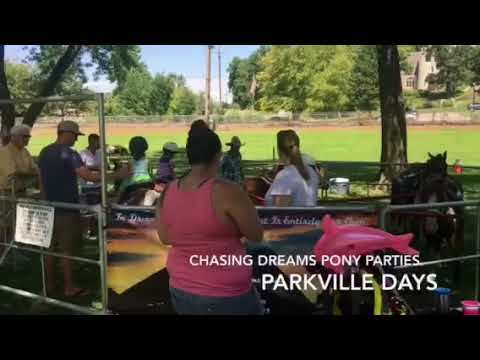 Chasing Dreams Pony Parties and Photogs! 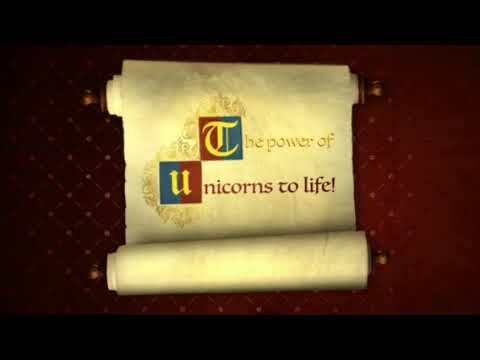 We do unicorn photo shoots and party appearances! Looking for magic and memories that your loved one or guests are not soon to forget?! Chasing Dreams will bring the party to you jam packed full of magic and surprises! We have 6 ponies that walk on a pony wheel inside a 25 x 25 foot fenced area for safety. 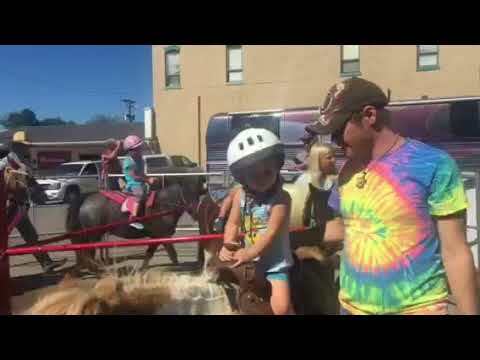 Our ponies are well trained for high traffic areas which include, hot air balloons, freight trains, helicopters, loud speakers, bounce houses, carnival rides, jet trucks, monster trucks, and much much more. It’s a themed party you say? You are in luck, our ponies love to come dressed in character to meet special boys and girls of all ages!! We can bring 2-10 ponies and/or horses at a time. Don’t Wait, Book Today!! Amazing Experience! Ron and Angela (and their two daughters) were so fantastic to work with. The pony (Gypsy) was a dream come true and so gentle. She had a beautiful rainbow tail and mane. I would hire and recommend a hundred times. Thanks! Oh my goodness!! Thank you so much! It was our pleasure to celebrate with you all! Everyone was so kind and welcoming, you made it easy for us!! It was so wonderful meeting all of you and your friends!! We had the best time with Chasing Dreams for my daughter's 5th birthday party. It was my daughter's first time on a horse, I mean UNICORN, and I could not have asked for a better group of people to fulfill her dream. They were so kind and wonderful to all of us! The unicorn was beautiful and I know my daughter will be talking about this birthday forever! The kids and adults at the party all had a great time! Thank you so much for making this the best birthday ever! Insurance: $2,000,000 - Full Coverage for events in the case an accident should occur. 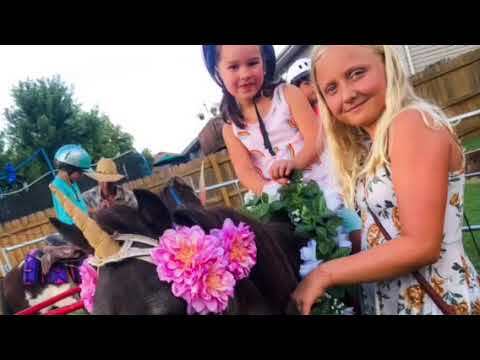 When you book Chasing Dreams Pony Parties, you can expect to get an unforgettable one of a kind experience. For a basic pony party package you will get the ponies and horses saddled and ready to meet their special guests! How magical you want them to be is up to you. You think up the theme and we will do the rest!! Here at Chasing Dreams we strive to be unique and to make your dreams a reality!! 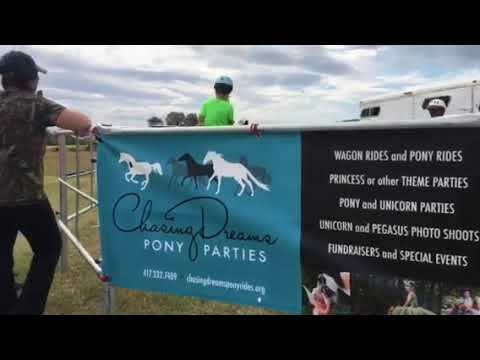 Chasing Dreams Pony Parties is a family owned and operated business. Meet Ron, Angela, Madison (13), and Payton (10). Ron and Angela have been riding and working with horses for over 35 years and have been operating the pony rides for the last 4 years. We take pride in our work and the safety of our riders and animals are our top priority!! Our daughters, Madison and Payton are homeschooled, work within the company, ride and show their horses, and Payton dances. You will usuallly find them ready to greet you at most of our pony ride events. It is a pleasure for us to be able to work together, serving our community, doing what we love with the animals we love!! Thank you for booking with us and we are looking forward to meeting you soon!! We need a 25 x 25 flat area that will be fenced off. Please leave an hour and a half for set up and tear down.